Cllr Bewick (see below) does not seem to share the concerns of Owen Jones (see bottom). 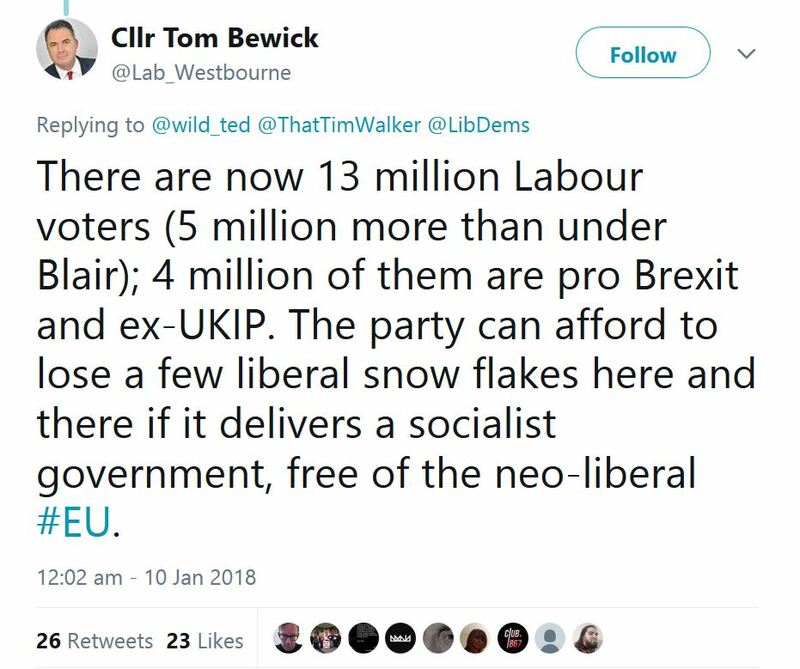 Cllr Bewick seems to have forgotten that Labour, under Blair, received 13,518,167 votes on 1st May 1997 when the registered electorate was smaller than it is today and was at the 2017 General Election. The number registered in 1997 was 43.8 million and the number in 2017 was 46.8 million. Clearly Diane Abbott and John McDonnell are not the only people in my party who have problems with maths and statistics! Local authority by elections take place almost every Thursday, somewhere in the United Kingdom. For those taking place in your local authority area go to your Council’s website or alternatively go here to find contact and address details for your local authority’s electoral registration office. 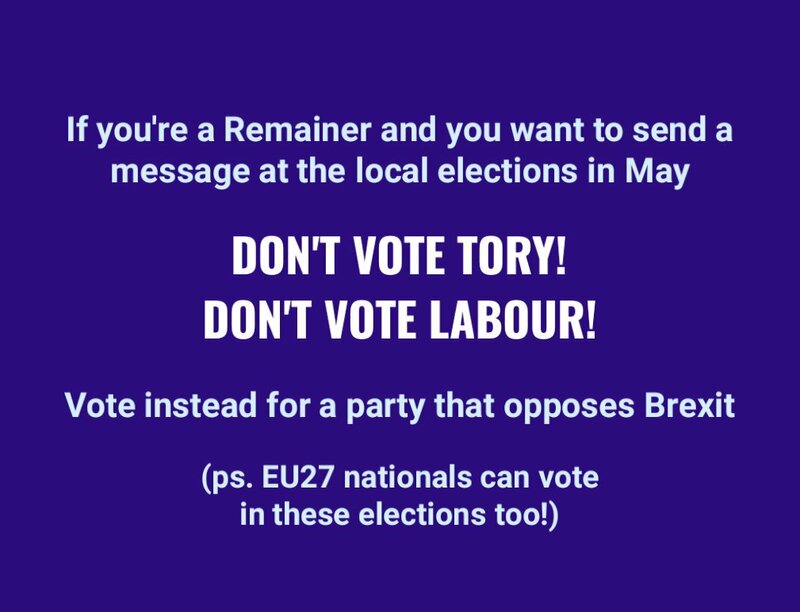 “If your home and university addresses are in two different local authority areas, you can vote in local elections in both. A relaxed (complacent?) 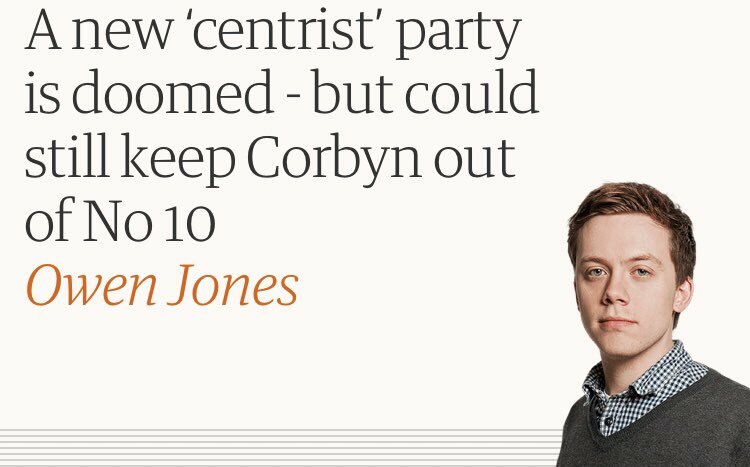 Labour Party expects any elections in 2018 to be a walkover for Jeremy Corbyn’s phantom New Model Army? Where was Cllr Bewick on 1st May 1997? I was up well before 6:00 and campaigned up to and including the close of the poll at 22:00. For a while I campaigned with a chap who had been out working for Labour on polling day at the 1945 General Election. In between times I undertook a duty as a school governor, attending a staff disciplinary meeting. I attended the count, throughout the night, at Birmingham’s (Inter)National Arena, partied until dawn at Clare Short’s General Election bash, went home and after a phone call at 9:00 or thereabouts, from a friend asking me about the results, finally got to sleep at 21:00 on Friday 2nd May. I guess Cllr Bewick’s was already claiming Labour had betrayed its roots by winning under Blair. I know Jeremy Corbyn was eager, ready and waiting to vote against the Labour Whip in the House of Commons.